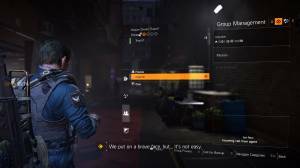 Clans in The Division 2 allow you to create and manage your own group of Agents. It also enables you to recruit others to join your own exclusive club. The benefits of joining a clan include new Projects, perks, and a weekly loot cache. This clan guide will explain everything to you. Before you are able to join or create a clan you must progress through the game completing missions and Projects until your Theater reaches tier 2: Cooperation. Once you get to this point Grace Larson will come to your Base of Operations when you go to her desk. You can find Grace Larson's desk by walking through the White House doors, turning right past the Quartermaster and then continuing down the long hallway. Grace Larson is the clan Vendor and by talking to her will enable you to either join a clan or create one of your own. At this point you will be able to set parameters that suits the type of game you want to play and search for people with the same preferences. Each clan will allow up to 50 accounts with up to four characters each. Listed below are the options that are available to help you find the best clan for your particular needs or playstyle. The primary focus of the clan, PvE, PvP or both. The time of day the clan is the most active. The general atmosphere of the Clan in regards to whether it's a relaxed and easy-going clan or a focused highly competitive PvP clan. If the clan requires a microphone to be able to join. The primary spoken language of the clan. The geographical location of the clan members. Searchable and open for all players. Searchable but requires an application to be sent and reviewed by clan leadership. A private clan is not searchable and can only be joined through an invite sent by the clan's leadership. Each clan will have the following four ranks to give it structure and help keep it organised. The leader of the clan which has access to all administrative functions of the clan. The officer rank, which will be able to send out invites, review applications, promote and demote members as well as moderate the clan feed. An established Clan member who will be able to invite potential recruits to the Clan. The recruit is a new member of the clan with limited access to administrative Clan functionality. 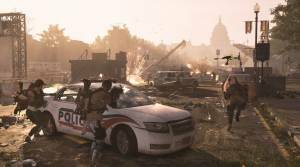 The first thing you need to do to leave your clan in The Division 2 is to go to the menu and select the 'Clan' option. Then select 'Roster' from the following screen and find yourself in the list of clan members. You now need to double-click on your name to highlight and select it and when the following screen appears scroll down to the 'Leave Clan' option and select it. Check out our Projects Guide to find out how to get new gear and Experience points.